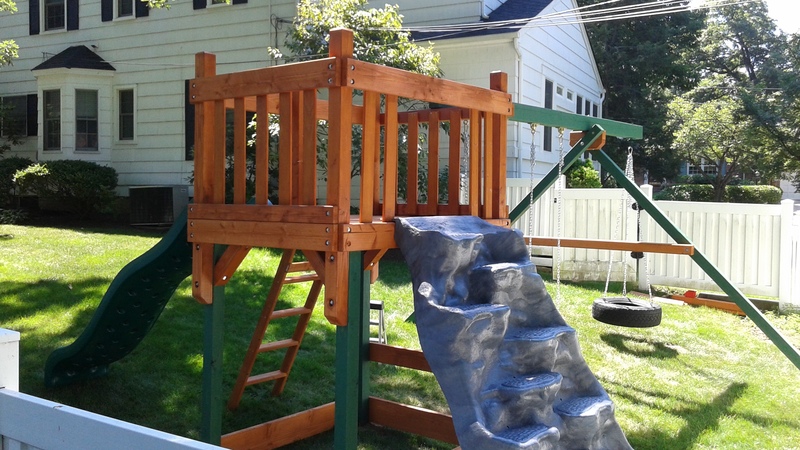 Sometimes, backyards are way too sloped for a store-bought swing set as they are designed and meant to be installed on level ground. 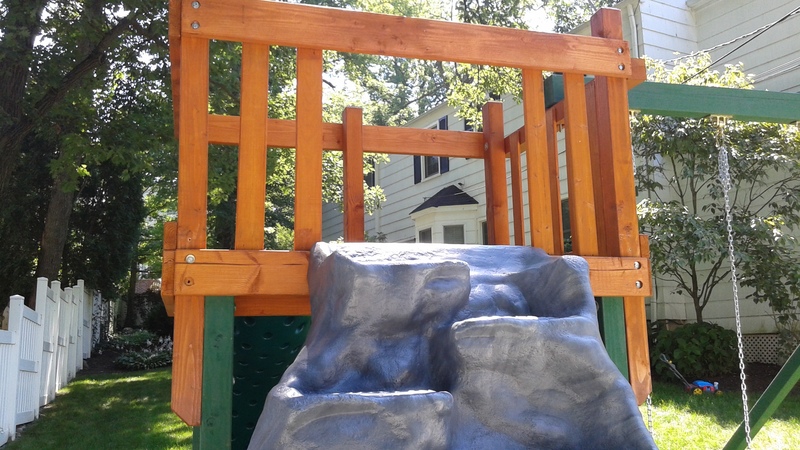 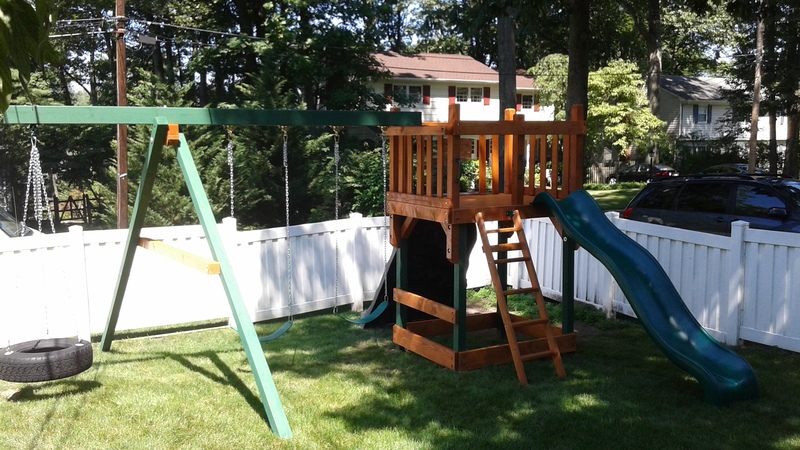 The amount of work involved on leveling and fixing an area in the backyard for a swing set can be enormous as it involves digging, dirt moving, heavy machinery, building retaining walls and lots of physical labor that can cost up to thousands of dollars. 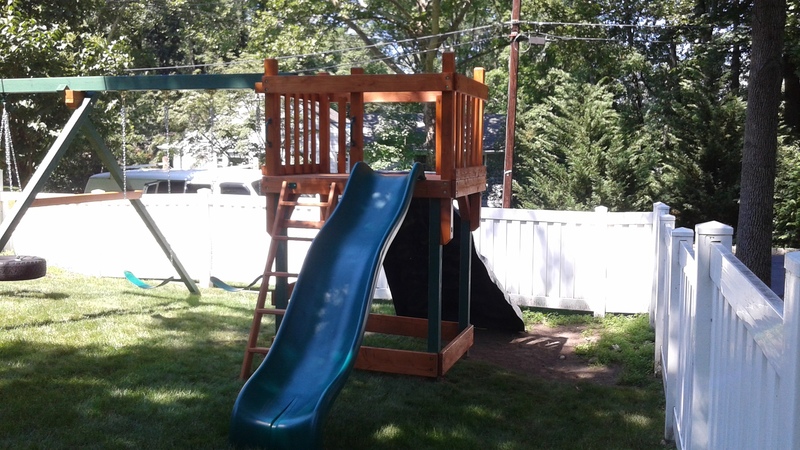 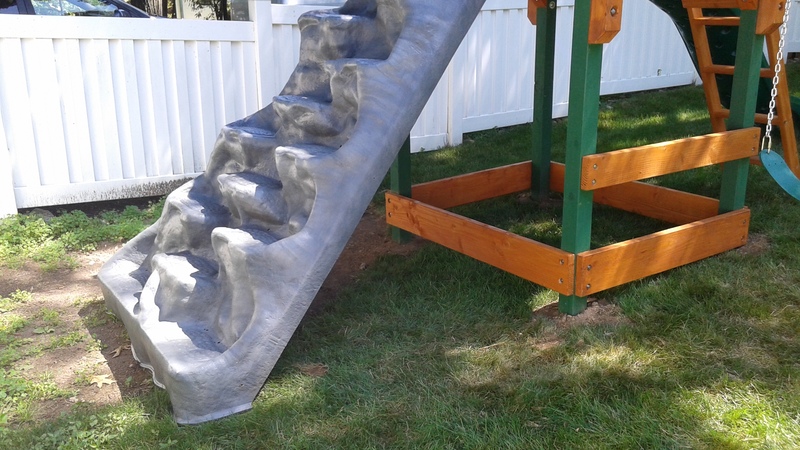 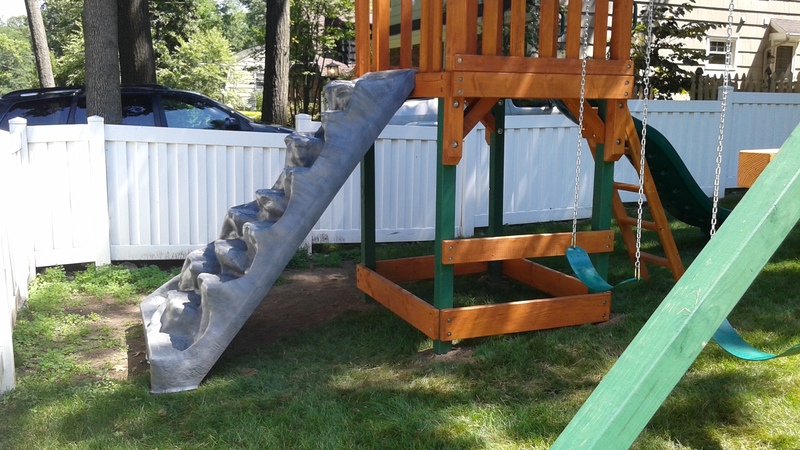 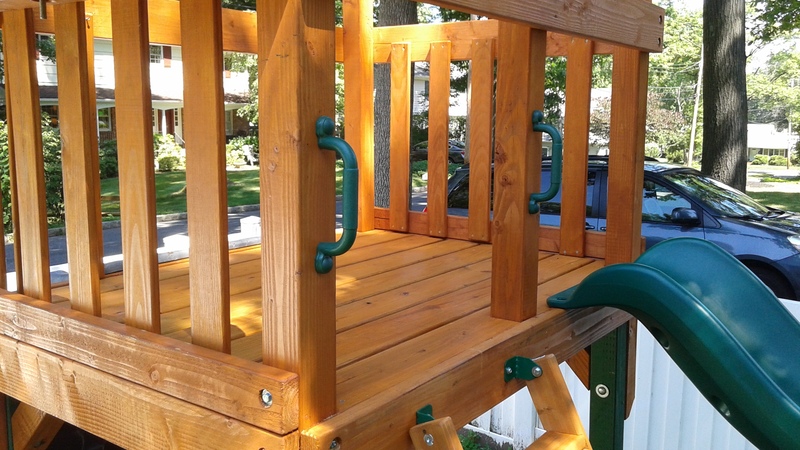 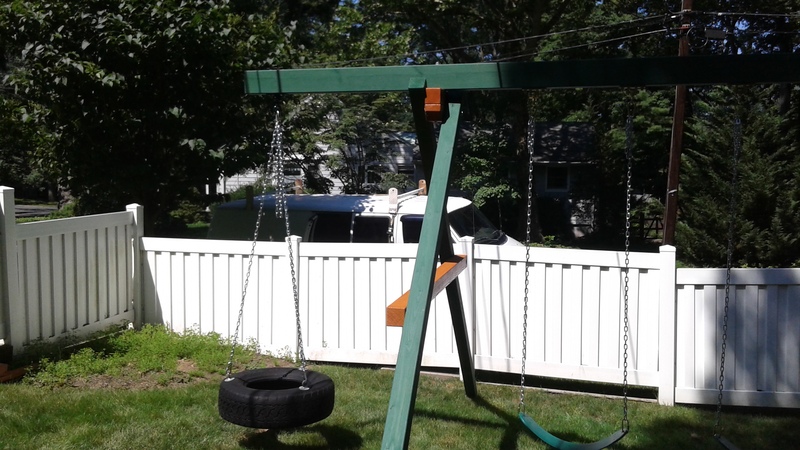 In 2015, I designed and built this custom swing set for a customer that had a very uneven backyard and didn’t want to go to all the trouble or expenses of leveling their backyard so they hired me to build a nice looking, strong and well-built swing set that was safe their children and could be adapted to the slope in the backyard. 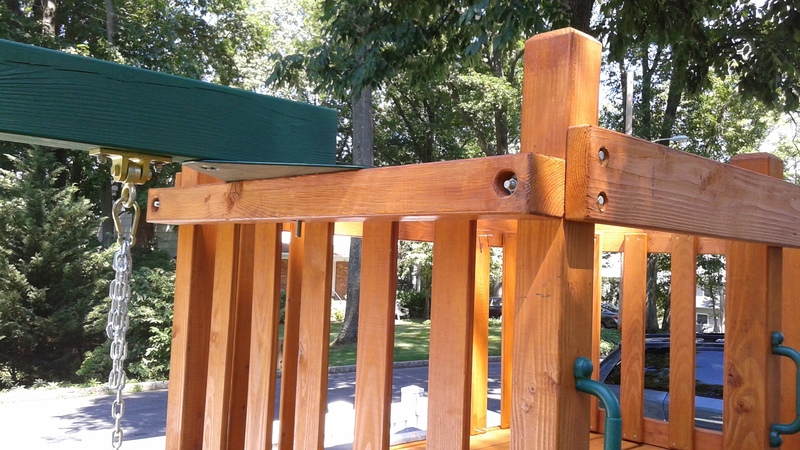 It was built with high-grade, commercial available wood, and treated with a quality, UV resistant, wood stain and sealer to protect it from the elements. 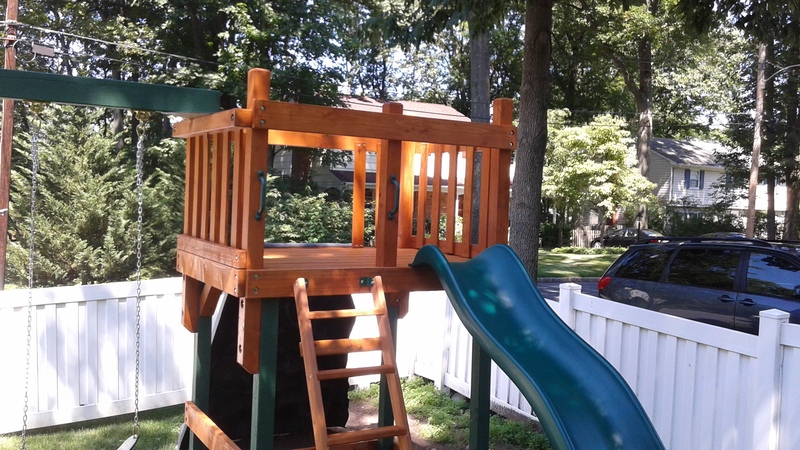 I was, also, planing to build a wooden roof and an enclosed playhouse under the top deck, however, the customer wanted something simpler so it wouldn’t call much attention in their neighborhood. 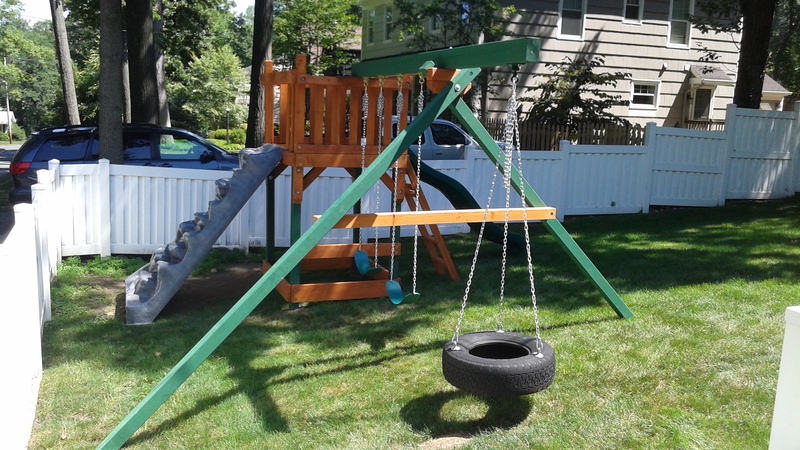 A swing set like this one can be fully customized in features, sizes, layouts and can be integrated with monkey bars, tire swings, bridges and much more, there’s no limit to the imagination.